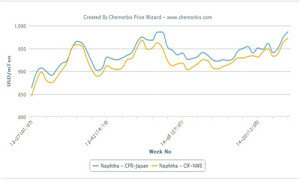 Middle Eastern producers have started to reveal their new March PE prices to Southeast Asia last week with increases a noted on ChemOrbis Plastics News. This was in line with earlier expectations on the back of limited supplies and firmer upstream costs. A major Saudi Arabian producer announced their new list prices for March LLDPE film c4 to Indonesia, Philippines, Vietnam, Malaysia and Thailand with increases of $60/ton from February, a month during which they had issued sizable decreases. A trader also based in the Philippines, reported during last week that the new March prices they received were only valid until the end of last week. “Our Middle Eastern supplier informed us that these offers were valid only until February 27 and they are subject to availability,” he further clarified. Meanwhile, a Malaysian converter reported receiving new prices for LLDPE and HDPE film from a major Saudi producer. According to him, the new levels indicate $40/ton hikes when compared with the beginning of February. The buyer expected to see more offers this week as the Asian players will fully resume their business after the Chinese New Year holiday. Another Malaysian converter received new March list prices from another Middle Eastern producer with increases but added that they are not evaluating these prices at the moment. The converter prefers to monitor the market first. A converter in Thailand obtained new LDPE, LLDPE and HDPE film prices from a major Saudi Arabian producer with $100/ton hikes for all products when compared with their most recent done deal levels in February. “We are planning to negotiate and obtain a level below the $1200/ton threshold,” added the converter. 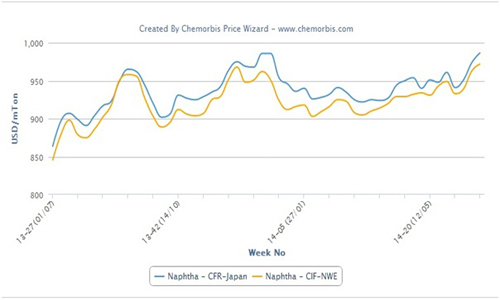 A Vietnamese trader received March PE offers from a Saudi Arabian producer with $90/ton increases for HDPE and $100-110/ton increases for LLDPE film as per ChemOrbis pricing service. “Prices are firmer due to the tight availability. We believe that the market will remain firm over the near term as several shutdowns are likely to keep supply levels low. Meanwhile, we are planning to monitor the developments in China once the Chinese players fully return to their desks following the New Year holidays,” the trader commented.